Newton Dynamics • View topic - BOMB: now released ! Hello to the Newton community. "BOMB: Who let the dogfight ?" 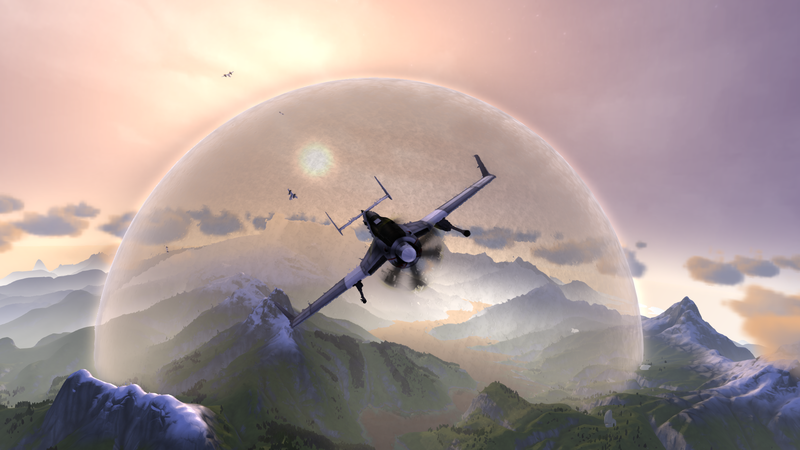 is an adventure combat flight game, mixing (many) arcade and (a few) simulation elements, available right now on Windows / Mac / Linux. What happens when you mix Crimson Skies' fast-paced aerial combat with the humor and stylings of animated classics like TaleSpin and Porco Rosso? You get La Moustache Studio's newly released game for PC-- BOMB! 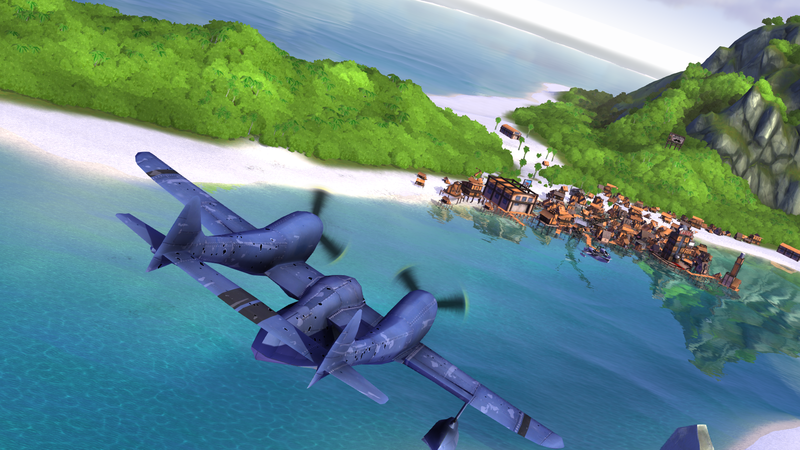 In BOMB, you'll jump into the cockpit and run missions in the skies above and around a tropical paradise and experiencing the aerial adventure of a lifetime! 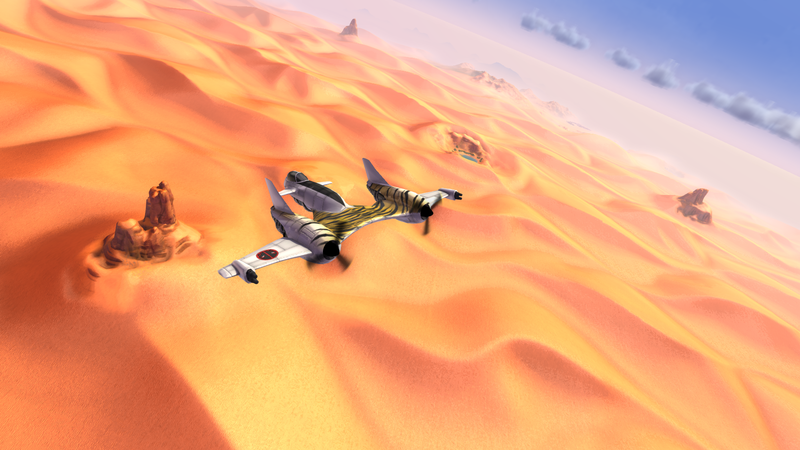 In 2007, we (two friends) wanted to do a “Serious Sam-with-planes” game so we started to work on a game engine as a hobby. Both unemployed in December 2011, we went full time from then until now. BOMB is our first game and is 100% independent. 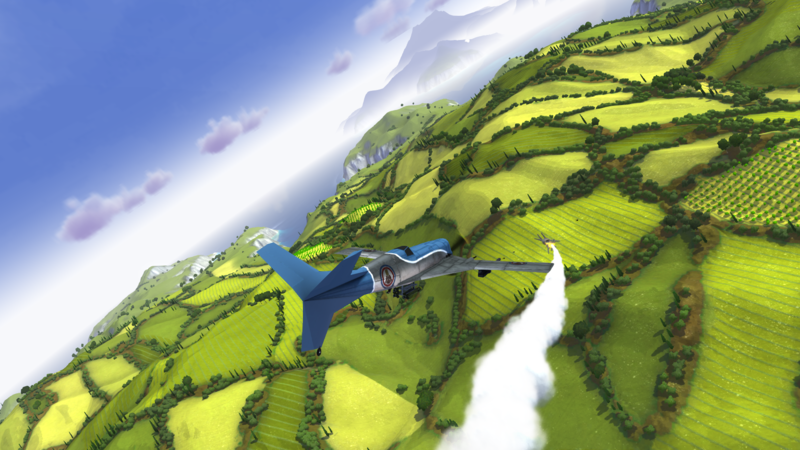 The game is about dogfight : you're in an armed aircraft and you shoot at another aircraft, simple. 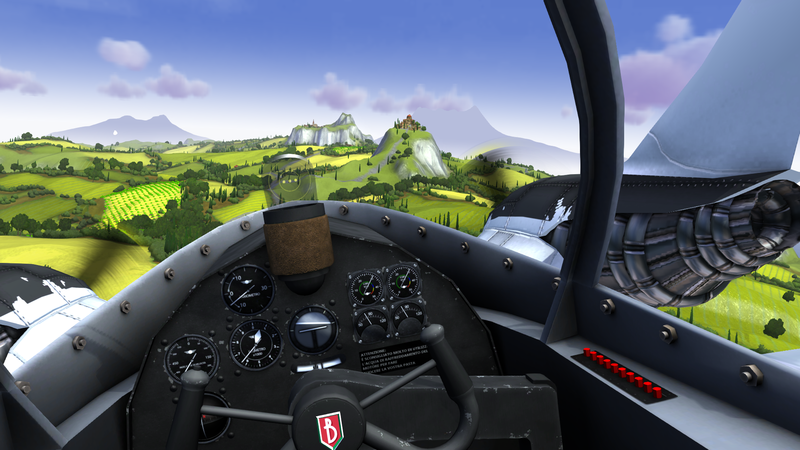 The controls are a mix between simulation and arcade, meaning flight models use real aircraft forces (lift, drag, etc..) but they are over-powered and light-weighted, so the flight dynamics are a more interesting than a totally arcade game : You must maneuver in 3D! Therefore, a joystick is strongly recommended, a gamepad with analog sticks is great too, but we don't recommend the keyboard experience. As an increasing amount of people were demanding it, we've added a mouse control mode. The game has both single and multi player game modes, including a solo adventure with a story. Modding tools are complimentary. Above all, this game is made to have fun! And the old one, more classical. Technologies used are Newton for physics, Ogre for rendering, lua for scripting, and enet for multiplayer, all of them merged in our custom game engine. Last edited by Crashy on Fri Jul 31, 2015 11:40 am, edited 1 time in total. Re: BOMB: now released ! Good work, it look very nice!